On this trip, we are going to the ultimate destination in Asia.We will follow the footsteps of legendary luxury travel group BelmondDriving on the misty Irrawaddy RiverDemystifying riverside villages, temples and pagodas that are difficult to reachHarvest a magnificent river cruiseMyanmar is a golden country, and the best time to appreciate her is sunrise or sunset. 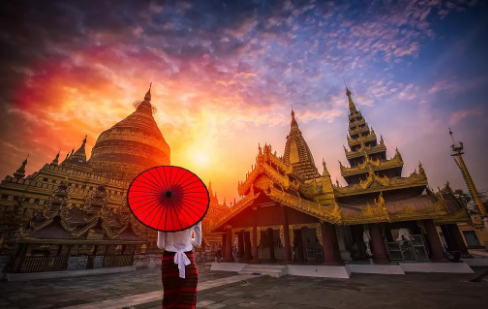 The Ubuntu Bridge under the sunset, the thousand stupa in the smoke cloud, and the countless treasures hidden in the vast mountain valley are her spirituality.Even in Southeast Asian countries with similar customs, Myanmar is a special country. The beautiful stupa is a symbol of the faith of this country. In Myanmar, the art of Buddha statues reaches a very high height. Every Buddha statue, regardless of where you look at it from anywhere, is also staring at you.Bagan, the city of Vantaa, is regarded as the greatest and most precious Buddhist miracle of today; Mandalay, which condenses the old style and Burmese culture, shows the glory of the last imperial city; Sagaing Mountain, there is a big Nearly 600 small and small temples, the looming temple spires are quite spectacular among the trees; the ancient city of Inwa, once the capital of Myanmar for nearly four centuries, is called the “time town”...we will all be Visited one by one on this trip.Take a carriage, or ride a bicycle, along the trails and winding roads, through the ancient temples and pagodas, the time seems to be still. On the morning deck, follow the master of yoga to a wonderful parent-child yoga, find the connection between the body and nature in the morning light, and realize the beauty of the agility.Known as the "ultimate", Myanmar is a spiritual pagoda with wonderful sunrises and sunsets, but also pure Burmese. "Smile" is the label of the Burmese, walking in Myanmar, can not ignore the most important element of the world - people. The best way to get close to the life of the Burmese is to participate in an early morning exercise. With the chanting of the morning monk, I got up and gave a meal to the monks in Chen Hui and experienced the joy of giving.Buddhism in Myanmar is not high, but is closely related to everyone's life. The most important moment for Burmese to grow up is to send their children to the temple, let them learn to be human, learn to treat everyone around you and work together. Their wedding may not be a big banquet, but every time a child is born, he will do his utmost to set up a ceremony for the child to record the most important moments of his life.Myanmar is a long-established ancient civilization. It has experienced four feudal dynasties: Bagan, Bago, Dongyu and Gongbang. The awkward civilization is worthy of meticulously telling and listening. This time, we invited experts from Myanmar's history and culture to tell the story of Myanmar on the boat for parents and children, and listen to the local people telling their own stories.Myanmar is also a multi-ethnic country. It has a rich and colorful food culture, sour and spicy tastes, and even the Chinese stomach can eat happily. Take a chef cooking class on board and cook with local ingredients to taste the true Burmese taste.The simple beauty of the Burmese is inseparable from the Longji and Tanaka cultures. Longji is a local skirt made of cloth. Both men and women, dressed in a Longji, is a wonderful local flavor; Tanaka is a favorite tradition of Burmese women. Cosmetics are made from pure natural materials such as yellow citron branches and water. Put on Longji, apply Tanaka, and learn traditional Burmese dance with local dancers!Myanmar is a hand-made paradise. Weaving, silk, scissors, etc. are all hand-made. There are countless handicraft workshops hidden in villages and waters. They are the carriers of Burmese art. 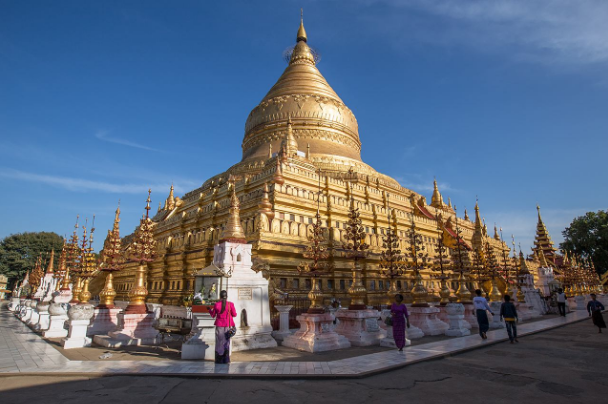 Visit the famous silk textile factory in Amarapura, visit the local pottery home, and feel the beauty of handcraft.It’s not possible to walk through the thousands of stupas in Bagan on the ground. Another way is to take a hot air balloon ride. Bagan's hot air balloons are manufactured by British companies with a high safety factor. Taking off in the morning, overlooking the number of stupa clouds, unlike the shock and dynamics of the Kenyan hot air balloon, this hot air balloon experience is quiet. Whether you are in the air or looking up from below, the beauty of the early morning hot air balloon is worth recording.How many people went to Myanmar, only for the Ubuntu Bridge under the sunset? The grand scene of one of the world's top ten most beautiful sunsets is worthy of its name.As one of the world's top ten luxury travel groups, just hearing the name Belmond is enough to decide a trip. The top travel experience that Belmond brings to you is not the splendid decoration, or the expensive and rare food, but the true beauty of the destination, showing you the most authentic and beautiful side of the destination in the most rustic way.Worried that the boat is too boring? It does not exist here. Every night, there is a bar music performance, a barbecue dinner, a cocktail party, or a swim in the open air pool downstream of the stars, all of which are already included in the service of the river. Back to the room, the intimate butler has already prepared a small gift for you today, perhaps a string of jade bracelets, perhaps a traditional Burmese costume, each with a thoughtful description, moving and surprise everywhere.Let's take the Cruise of BelmondIn the most casual and authentic wayComplete this ultimate trip to MyanmarWelcome aboard, Bon Voyage!